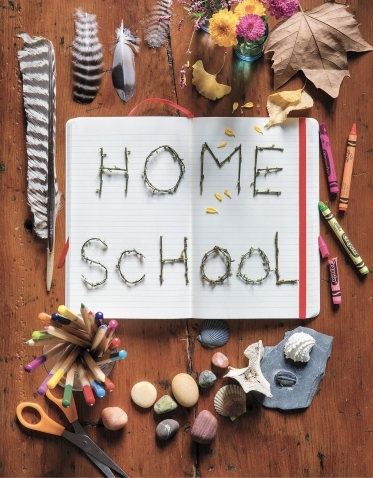 Thank you for the beautiful article about homeschooling by Sarah Ligon ’03 (“Home School,” fall ’18). 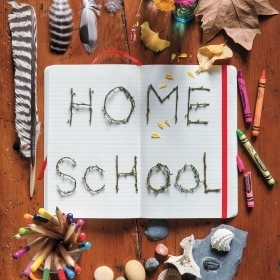 My kids and I have been homeschooling for 10 years and even though my oldest are now in the public high school for the first time this year, we are still behaving like homeschoolers and learning tons together at home. I love the love of learning that my kids have. Thank you for putting the richness of homeschooling into words so eloquently. Elizabeth Hamilton Wachtler ’91, Claremont, Calif. I lived in New York in the 1970s, when Betsy Barlow Rogers ’57 was just starting her work for the Central Park Conservancy (“Bibliofiles,” fall ’18). Those were dark days for the park. My husband was mugged. Flowers were routinely broken, trampled. The overall feeling of a walk through the park was one of despair for the future of public spaces—and it was then that we left the city. We were having our first child. I just couldn’t see raising a family there. Fast forward 30 years. We came back for a visit—to an entirely different city, and more to the point, an entirely different park. It is now a haven, an enchantment, an absolute tribute to the benefits and glories of shared and respected space. Thanks in no small part to Betsy Barlow Rogers, one can now walk through the park, swept up in the beauty of the place and the manifest benefits of common ground—and we are moving back. 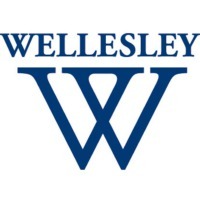 Victoria Shorr ’71, Pacific Palisades, Calif.
As editor of the Wellesley News in 1967–68, I was pleased to read your mention of our college newspaper in your article (“1968: The Year Everything Changed,” fall). I think the journalism provided by my classmates on campus was instrumental in raising awareness of national as well as campus issues. Susan Sprau ’68, Northridge, Calif. The article “1968: The Year Everything Changed” was interesting but limited in scope. Why 1968? Did Amita Parashar Kelly ’06 know there were Vietnam teach-ins at Wellesley in the fall of 1965? Did she know Wellesley girls were arrested at the Pentagon in 1967? Did she find out that Wellesley had a small chapter of SDS, Students for a Democratic Society? Did she learn there were Wellesley students who participated in harboring AWOL soldiers in the “sanctuary movement,” at Brandeis, Boston College, and MIT? More than one student went into factory work and became a labor organizer. One dropped out, not to “support,” but to actually join, the Poor People’s Campaign! I was also dismayed at the distortion of history. The article stated “the party had no clear nominee” after the assassination of Robert Kennedy. This misses the point of the demonstrations outside the Democratic Convention in 1968. Several Wellesley students worked for Eugene McCarthy, a peace candidate, the Bernie Sanders of his day, who was sold out by the party hierarchy after winning more votes in the primaries than any other Democratic candidate. Lynn Sherr ’63 is quoted as saying “stupid and dumb things” were done. She’s correct. This is not the fault of “the movement,” but of our interpretation. I was a scholarship student from a blue-collar family. I put my Wellesley degree on the shelf to “make a revolution.” When the revolution didn’t come, I found it difficult to be upwardly mobile twice. 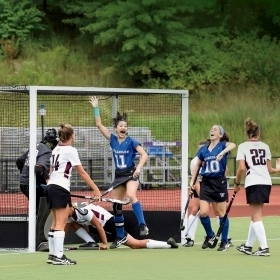 Wellesley’s poor counseling services didn’t help. I hope that deficiency has now been remedied. A social movement is more than the sum of its individual participants. 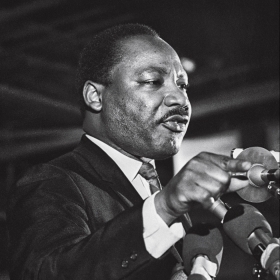 The actions of a few can serve as catalysts, but we all created the ’60s, not just a few, and need to do it again. Matilda K. Williams ’69, Seminole, Okla. In “1968: The Year Everything Changed,” Laurie Sheridan ’66 recalls being at Wellesley during a time when students had to wear skirts to class and follow a certain protocol. I graduated in ’54. We never wore skirts to class unless we were on our way to Boston or some party. We wore jeans or Bermuda shorts, or pedal pushers or gym suits that consisted of a short skirt over bloomers, which we hated. And what “protocol”? I wouldn’t be surprised if you receive a lot of letters about the statement because it made me see red! Elizabeth Seymour Bynum ’54, Pittsford, N.Y.
Re: changes after 1968. On page 22 of the fall ’18 issue (“1968: The Year Everything Changed”), a member of class of ’66 says she was at Wellesley “when students had to wear skirts to class.” I was in the class of ’45, and during my freshman year, Life magazine published a full-page photo of two of my classmates, taken from the rear without their permission. It caused quite a sensation, as it showed Wellesley women wearing what we now call jeans! I think they were called dungarees then. Many of us wore pants of various kinds. We certainly never “had to wear skirts to class.” In 1943, Mayling Soong Chiang 1917 (Madame Chiang Kai-shek) visited campus wearing classic Chinese pants, and then it became even more common for Wellesley students to wear slacks. Eleanor Herz Swent ’45, Palo Alto, Calif. Thank you for sharing our update @Wellesleymag! 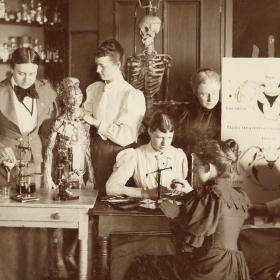 (“Uncovering Science at Wellesley,” fall ’18). “‘The daily life of an archaeologist is tough work,’ says McKenna Morris ’21.” She’s given me good advice too—“dig boldly!” I am so proud of our whole team :) #wchap #archaeology @Wellesley http://magazine.wellesley.edu/fall-2018/uncovering-science-wellesley. 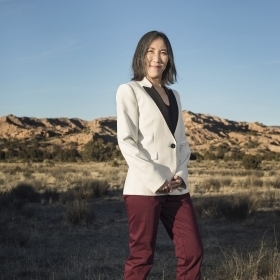 I am wondering why in a news article on the Alumnae Achievement Awards is it necessary to note in the second paragraph the sexual preferences of a very distinguished graduate (“A Cosmic Breakthrough,” winter ’19, published online in September 2018). Surely we should be able to view her, and anyone else, with regard to their incredible achievements rather than in reference to personal characteristics. Perhaps Dr. Mavalvala wishes to highlight her most personal data, but it seems much more appropriate as a standard to note at a point in the article where discussing personal activities and interests. How will we ever normalize the spectrum of gender and sexual preferences until we can simply accept the idea that wherever an individual appears on the bell curve of human genetics and human diversity is fine and is OK, that what matters is their accomplishments and character? 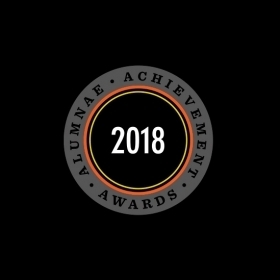 Ruth McKinnie Ahearn ’62, Walnut Creek, Calif.